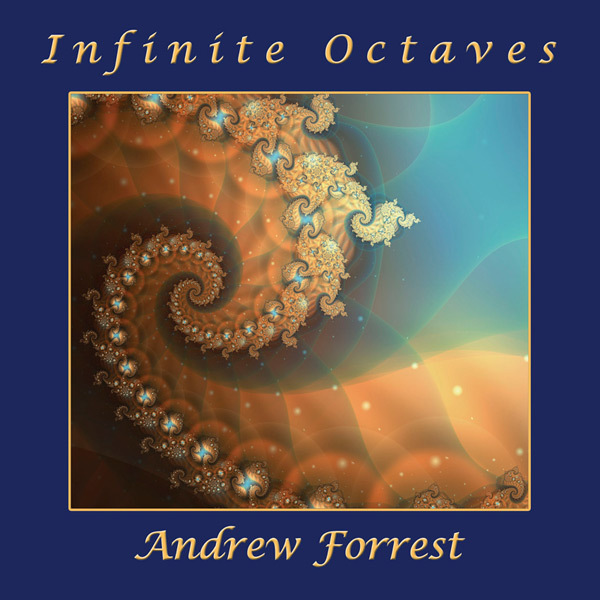 After years of preparing new sound textures, and taking 12 months to compose and record, the long awaited ‘Infinite Octaves’ finally concludes Andrew’s ‘Star System Trilogy’. Four monumental, deep space tracks guide the listener to the timeless, the boundless. A profound, multi-dimensional listening experience. To buy Infinite Octaves as a CD please click on “Add to Cart” below.